Democrats are highlighting that Republicans are raising money -- and thus already politicizing -- the House Select Committee on Benghazi. 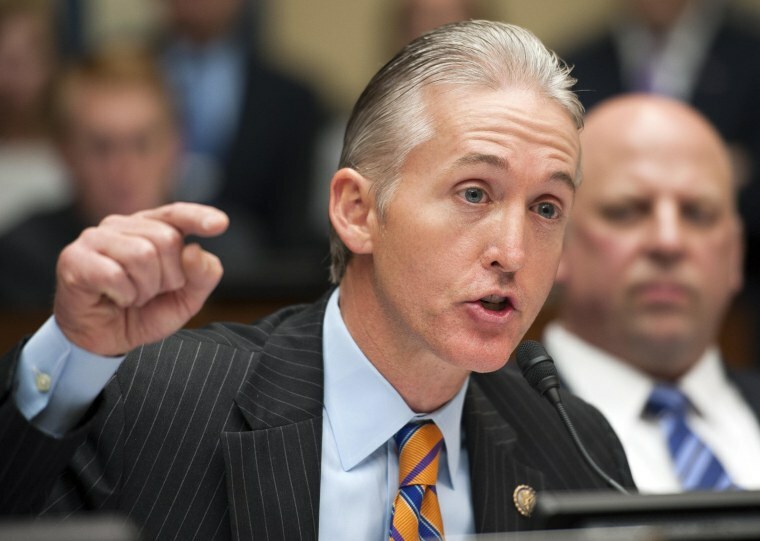 The National Republican Congressional Committee authored a blog post on Tuesday entitled: "Here's What You Need To Know About Trey Gowdy & The House GOP's Select Committee on Benghazi." Then, at the bottom, the blog post allows viewers to enter their names and emails to "stand with Congressman Gowdy." And then there's the line: "Help fight liberals by donating today." This comes as Gowdy said on MSNBC's "Morning Joe" that Republicans shouldn't raise money off Benghazi. "Yes, and I will cite myself as an example," he said on the program, per Politico. "I have never sought to raise a single penny on the backs of four murdered Americans."